You know me – I’m an unapologetic fan of what Shinola is producing in my old hometown of Detroit. Their latest introduction introduces something I’m glad to see the brand add to a stock configuration, and takes away one of the more iconic design features of their watches. 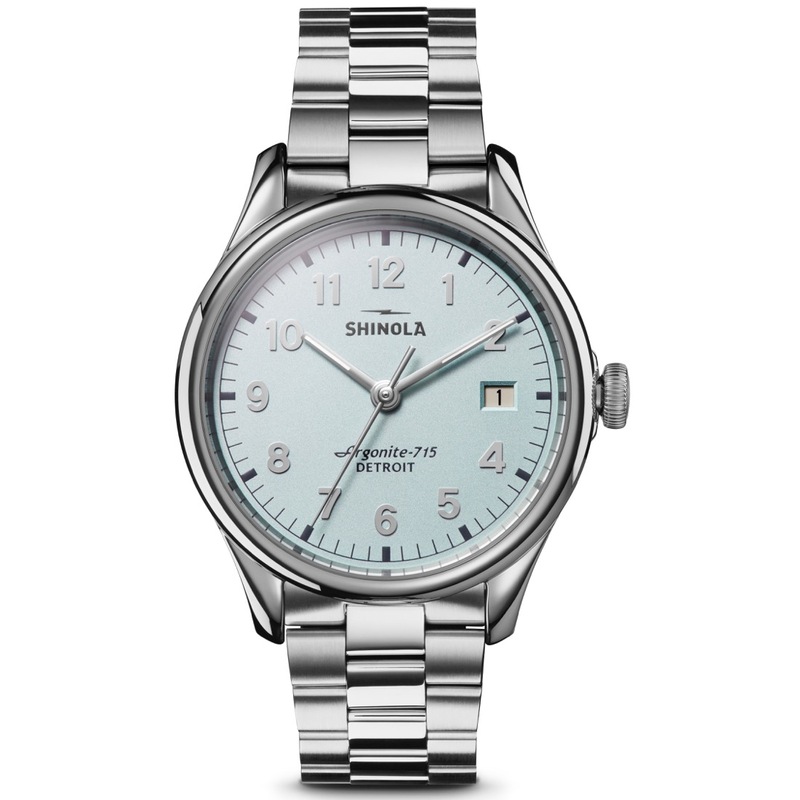 So, what does the Shinola Vinton have in store for you? Well, for starters, the Shinola Vinton comes stock with a bracelet, which is something we have not seen with regularity for the brand. Just as we can count on them for Detroit-assembled quartz movements, we’re generally looking at leather or textile straps. However, they have made a few mechanical movements available, and likewise for bracelets. This one looks to be of the fairly standard three-link variety, albeit with the center links polished. The other big change, design-wise for the brand, takes place around back. Just look at the wide, smooth expanse of the caseback of the Shinola Vinton. Notice anything missing? That’s right, the applied badge has gone away. For me, this has become as iconic as the lightning bolt logo, and I’m sorry to see it disappear. Sure, I get it, the brand needs to try some different things out, and customizing a watch with engraving to commemorate an occasion is something that is done. And, in some ways, it fits more closely with this vaguely vintage look of the dial. Still, I’d like to have the badge. Perhaps it can come along later as a coin in future iterations. Around the front, we’ve got a very classic look to the dial – numerals all around, with larger indices popping in on the hashmark track around the outer edge. Everything has been hit with a dose of SuperLuminova – including the baton hands – and things are topped off with a double-domed sapphire crystal. Oh, and also keeping with the classic (or vintage) feel, the case of the Shinola Vinton comes in a more compact size (for today’s standards) of 38mm. This makes it a good unisex fit, perhaps even a watch that a couple can share (ala RanchRacer and PerpetualGirl of LoveNWatches).